With all due respect to the likes of Dru Hill’s 1998 and the more recent (2012) Joss Stone covers, it’s The Dells‘ original, The Love We Had (Stays On My Mind) that is the only one that matters to this “almost” senior. Perhaps, I’m just an old romantic at heart, or the past holds too much sway, this remains the definitive version of the ’70s love ballad. Notably, by a group that managed to not only hold off time, but change styles when needed. 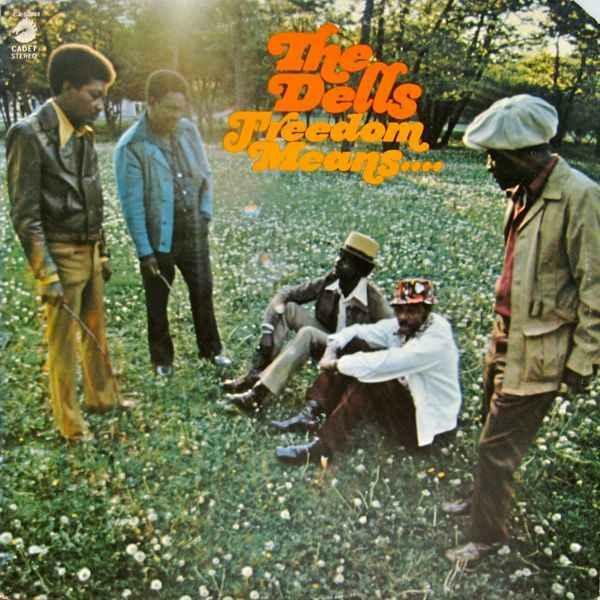 As Steve Huey for Allmusic stated, “The Dells were one of the finest and longest-lived R&B vocal groups in history, and what’s most amazing is that they did it with nearly all the same members.” Quite a feat, especially since their music career began in 1953. I daresay they’re the only group I know of who charted a hit single in two different eras, with radically different arrangements and tempos, using the identical song. All by a group that lay in the shadow of Motown and the behemoth act known as The Temptations — one of the most successful groups in music history — during their mutual heyday of the ’60s and ’70s. It’s a natural comparison. Each featured, more or less, five male vocalists, doubling as dancers and backup singers. Their quite distinctive mix of baritone, tenor, and falsetto voices coalesced with some astounding hits and harmonies. Good work, if you could get it. The music charts of the day, both encompassing R&B, Pop, and even (aghast) Adult, were filled with songs from similar groups such as The Chi-Lites, The Delfonics, The Dramatics, and of course, The Dells. Affectionately known as The Mighty Dells by their loyal followers, they were among the groups I’d discover once in the cauldron known as high school. Certainly, among the few highlights of that age. Simply amazing they lasted as long as they did1. Members Marvin Junior (lead baritone), John Carter (lead tenor), Charles Barksdale (bass), Michael McGill (baritone) and Verne Allison (second tenor) as a group stood out; set the bar high for the stylistic male harmony fueling the era. In fact, actor-director-writer Robert Townsend with actor-comedian Keenan Ivory Wayans based their under-appreciated film, The Five Heartbeats, on the lives and careers of The Dells. They’d amass a solid string of radio hits over their prime years, including the aforementioned Oh What a Night, Stay in My Corner, and Give Your Baby a Standing Ovation. They’re all great, but if I’d only get to play just one of theirs, I’d have to point people to this. The Love We Had (Stays On My Mind)2, a sentimental song which highlighted their unique appeal and is somewhat forgotten outside of their longstanding fans. Released as part of their 1971 album, Freedom Means…3, it was a modest hit on the Pop chart (#30) back then, and a Top Ten on R&B’s (#8). All elements of what made the soulful group an endearing quintet are on display. Every voice in the group took a well-deserved turn at lead with the Larry Wade and Telly Callier number. Naturally, Marvin Junior and John Carter stood out, just like their superb close-harmony chorus. Within the crossover realm sought by both The Temptations and The Dells in 1971, the former’s Just My Imagination (Running Away With Me) was the comparable then. While both tunes shared a similar bittersweet, dreamy quality, the charts’ bequeathed #1 to the bigger name group. 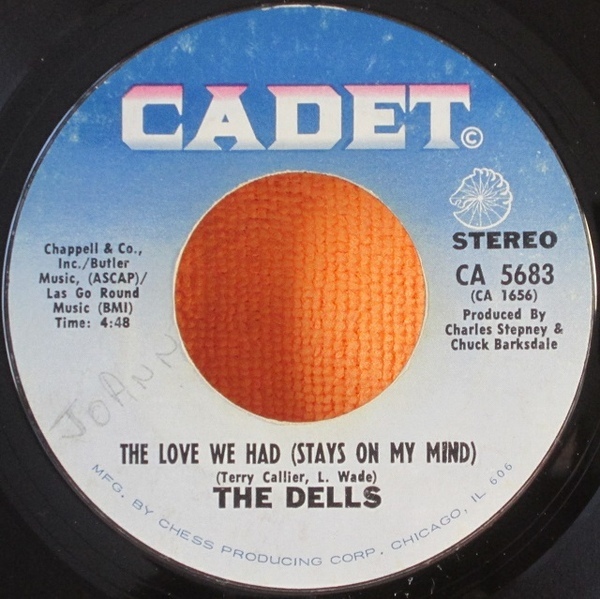 Still, if often overlooked, The Love We Had (Stays On My Mind) really was one of the finest tunes The Dells, and the era, ever pressed on listener’s hearts and minds.